A few days back, I felt quite irritated to see a popular food blogger promoting an olive oil brand for daily Indian style of cooking with the hashtag #rozkakhana. She has more than a million followers on FB. As I visited a supermarket nearby, I noticed the most accessible shelf in the “Oils” section was lined up with different olive oil brands. The oils that we Indians typically use in our day-to-day cooking were lying in the bottom most shelf. 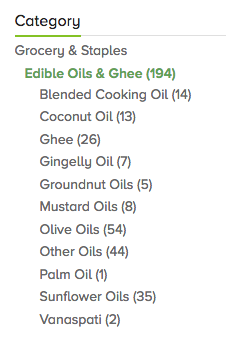 I checked out BigBasket’s edible oils section and I wasn’t surprised to see the number of brands in each category. As you can see, there are 54 different olive oil brands available, whereas there are only 5 brands of groundnut oil, 7 brands of gingelly oil and 8 brands of mustard oil. Why is this craze towards olive oil? Are doctors and dieticians recommending it? Are we blinded by the media and food influencers? 1. Urban Indians have completely switched to Mediterranean diet. 2. They are using olive oil for typical Indian cooking. If you belong to the latter category, then please enlighten me the need/reasons that motivated you to make the switch. First, the food industry took all the steps required to spread the false news that coconut oil is bad for your heart, groundnut oil has cholesterol etc. And then, they come back with expensive, imported olive oils that has absolutely NO connection with Indian soil, weather or our genes. I came across a BBC News Article from 2013, which stated that olive trees had been planted in Rajasthan, with farmers getting subsidy to grow olives instead of wheat and cotton. I’m not sure what happened after that and whether the olives had started to grow in India. 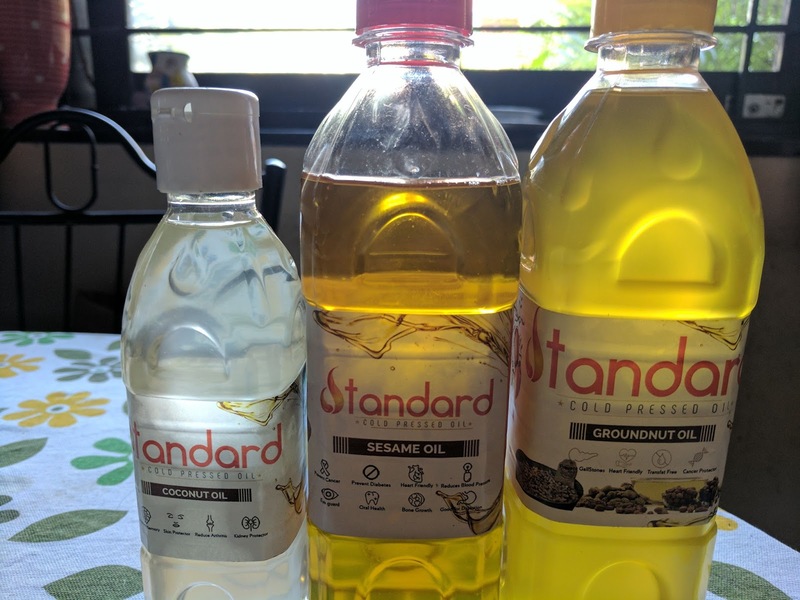 Though olive oil as a % of total edible oils consumption in India is quite low, it is growing at a rate of around 15-20% every year, triggered by the urban elite. What’s the price of olive oil? 1 kg is around Rs.900. Now why would people pay such an exorbitant price for an imported oil? Is there the popular bias “Higher price equals better quality” at play here? Olive oil is marketed as a convenient quick-fix to prevent heart diseases. Healthy living isn’t that simple. I have tried mustard oil but it felt too pungent for me and didn’t suit our South Indian style cooking. And recently, I have started to use cold-pressed sesame, groundnut and coconut oils. Whatever be the oil, I try to use the minimum quantity. This push towards a food monoculture has to stop and we should celebrate the diversity of our food and cuisines. I have only just come across your blog. And while what you say is relevant, on cooking oils - you need to explore another point of view - smoke point of oils the point at which the oils break down and cause issues. Most vegetable oils have low smoke point and therefore are not suitable for high temperature cooking. Most suitable for Indian cooking - ghee and coconut oil which have high smoke point. Check if out. @Sundhara, thank you so much for the kind words. Glad to know my posts are effective. @Black paw, thank you, will explore more on the smoke point and write an article about it. @Pratibha, thank you, glad you find my blogposts useful.